The DEWALT DW1639 2-9/16 in. 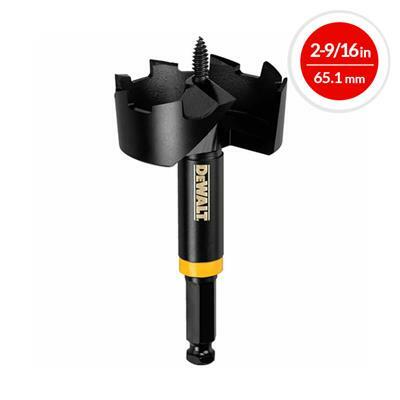 Heavy-Duty Self-Feed Bit is built to provide strength and speed in real-world drilling situations. The two cutter design reduces binding and stalling, which can slow down jobsite productivity. The self-feeding screw provides material penetration that's fast enough for larger jobs. You never need to stop working to reset the bit because the 7/16 in. shank comes equipped with shank flats that completely eliminate bit slipping in the drill chuck. 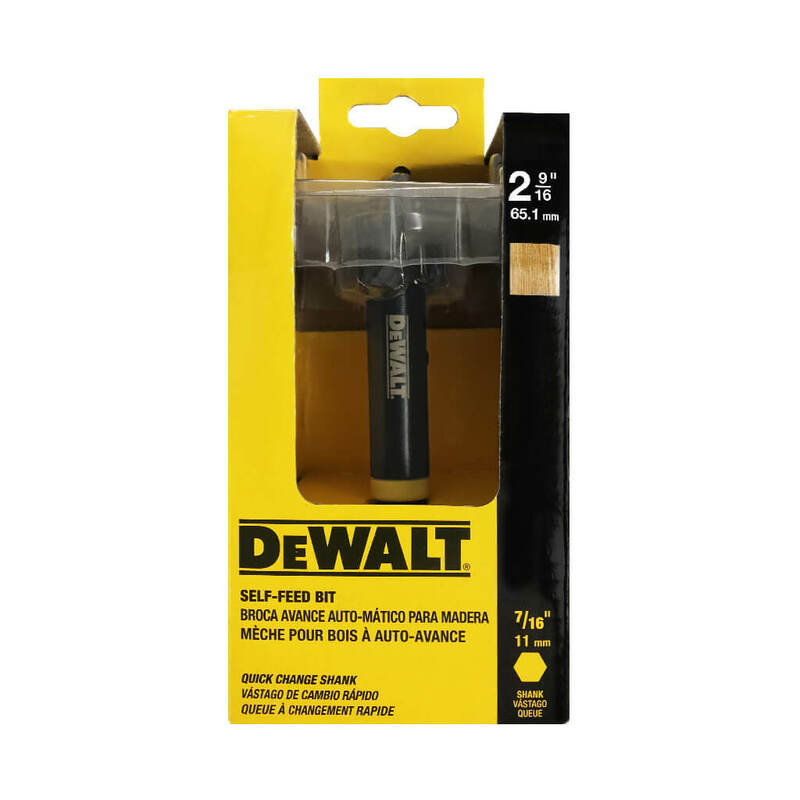 Like all DEWALT® products, the 2-9/16 in. heavy-duty self-feed bit lets you improve productivity without sacrificing quality.